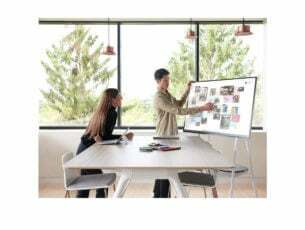 Connecting your Windows 10 PC or laptop to an external display is rather simple if you have the appropriate cable. Most modern displays use HDMI ports for input, so today we’re going to show you the best high speed HDMI cables that you can use. 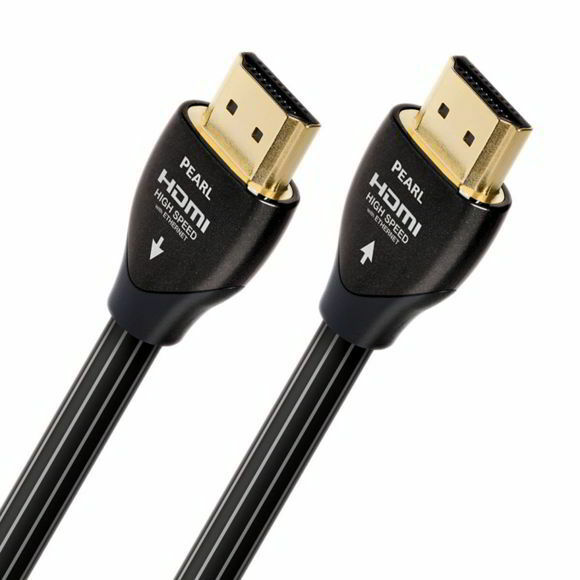 What is the best high speed HDMI cable? This is a simple HDMI cable and it comes with HDMI A connector on each end. The cable supports Ethernet, 3D, 4K video and Audio Return Channel. The cable is fully compatible with all HDMI devices including external displays, game consoles, set top boxes, etc. This cable meets the latest HDMI standards and it supports 4K video at 60Hz and 48 bit/px color depth. Regarding the bandwidth, it supports up to 18Gbps bandwidth. The cable supports 21:9 video aspect ratio and it can deliver two video streams and up to four audio streams simultaneously. In addition, you can have up to 32 audio channels and up to 1536kHz total audio. The cable has gold-plated corrosion-resistant connectors that will provide the best signal quality. In addition, the cable is protected by black PVC layer and shielding that will prevent any interference. Of course, this cable is fully compatible with previous HDMI standards. 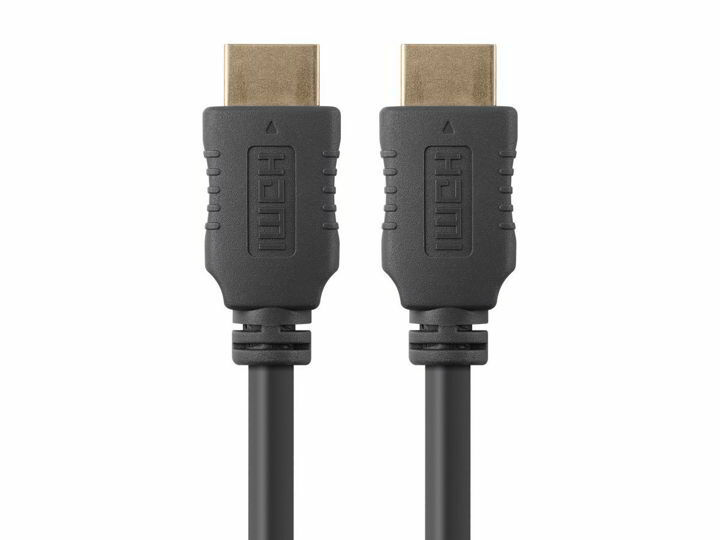 AmazonBasics High-Speed HDMI Cable is a great HDMI cable, and you can choose from 3 feet to 25 feet length. Regarding the price, 6-feet model is available for $6.99. This HDMI cable has Long-Grain Copper conductors and Solid High-Density Polyethylene Insulation so it offers great performance and high quality video. Thanks to the solid conductors, all strand-interaction distortion is eliminated. This cable uses air-filled Foamed-Polyethylene Insulation that doesn’t absorb any energy thus keeping your signal free from distortion. 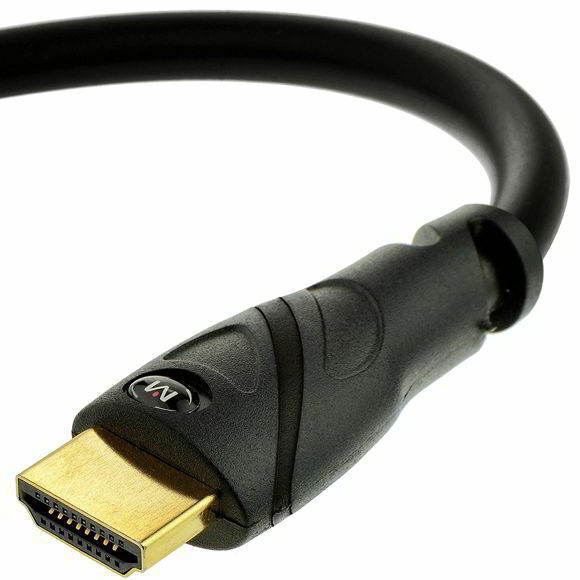 Regarding the specifications, this cable delivers 18Gbps of data so it’s fully compatible with HDMI 2.0 standard. Of course, 4K resolution at 60Hz is supported. It’s worth mentioning that this cable supports Ethernet and all cables up to 32 feet will provide high speed performance. AudioQuest Pearl is a high quality 6.5-feet HDMI cable, and it’s available for $38.75. 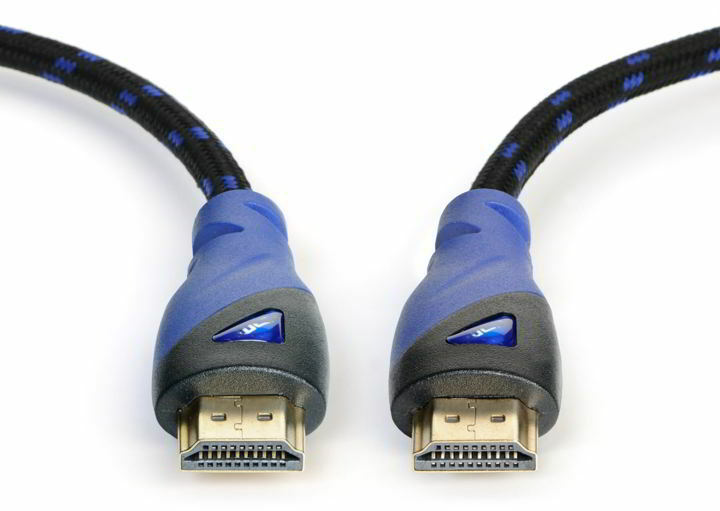 Blue Jeans Cable is a 3-feet high-speed HDMI cable. The cable also supports Ethernet so you can use just a single cable to share Internet connection between the devices. This cable has a PVC jacket for protection and it also has gold-plated HDMI connectors for high-quality signal. This is a high-speed Category 2 cable that provides high-quality video. 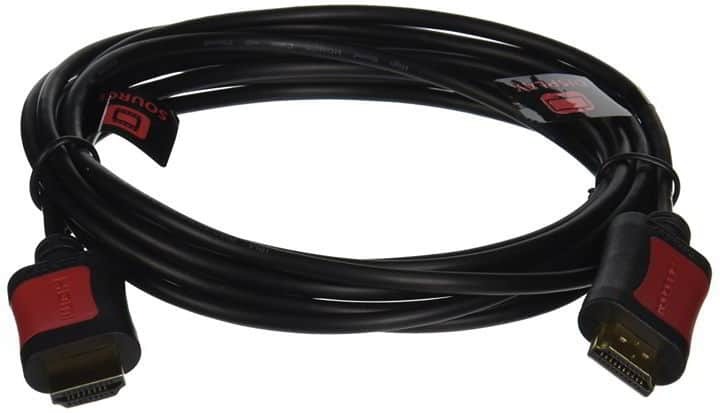 The cable has 28 AWG construction and it provides high flexibility so you can connect it easily with other devices. This cable supports 48-bit colors and sound formats such as DTS-HD and TrueHD Dolby. Of course, Auto Return Channel support is available as well. Regarding additional features, the cable supports 4K x 2K and 1080p resolutions as well as 3D. This is a solid high-speed HDMI cable, and you can order 3-feet model for $17.00. 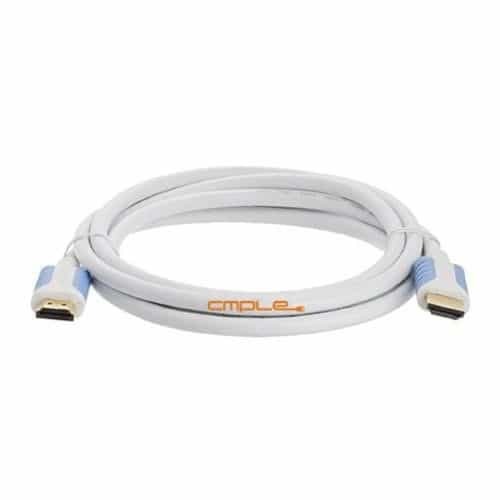 If you’re looking for a high-speed HDMI cable, you might be interested in Cmple Ultra High Speed HDMI Cable. This cable supports Audio Return Channel and it’s fully compatible with 3D technology. Regarding the resolution, the cable supports 4K x 2K resolution including 3840×2160 and 4096×2160. This is Category 2 cable and it offers 10Gbps data transfer, 340MHz as well as 48-bit color. The cable has a durable PVC layer so it offers solid protection. Regarding the connectors, they are gold-plated so they offer optimal signal without distortions. As for audio, this cable supports True HD Dolby 7.1 and DTS-HD Master Audio. Of course, the cable is fully backwards compatible so it works with older standards and devices. This is a solid high-speed HDMI cable, and you can purchase the 6-feet model it for $7.76. If you need a longer cable, there are models up to 15 feet available. Mediabridge HDMI Cable is a high-speed HDMI cable and it supports 4K 2160p resolution at 60Hz. Regarding additional features, there’s support for 18Gbps transfer speed, 4K UHD, 3D, 48-bit deep color, HDR and ARC. The cable has 28AWG pure copper conductors and gold-plated connectors that will ensure high-quality video and sound. This is a solid HDMI cable, and there are models ranging from 3 feet to 50 feet. Regarding the price, you can get the 6-feet model for $8.99. Monoprice High-Speed HDMI Cable offers up to 10.2Gbps data transfer speed. The cable has ferrite cores that protect the cable against electromagnetic and radio interference. The cable also has 28AWG copper conductors and gold-plated connectors. Regarding the supported features, this cable supports 1080p resolution at 60Hz and 4K resolution at 24Hz. In addition, there’s support for 3D video and Audio Return Channel. As for audio, SA-CD, DVD-Audio, DTS-HD Master Audio, and Dolby TrueHD are supported. The cable supports deep color up to 16-bits per channel as well as x.v.Color. Monoprice High-Speed HDMI Cable is a decent high-speed cable, and it’s available in eight different colors. Regarding the length, there are models from 1.5 feet to 10 feet available. If you’re interested in this cable, you can order 6-feet model for $6.16. 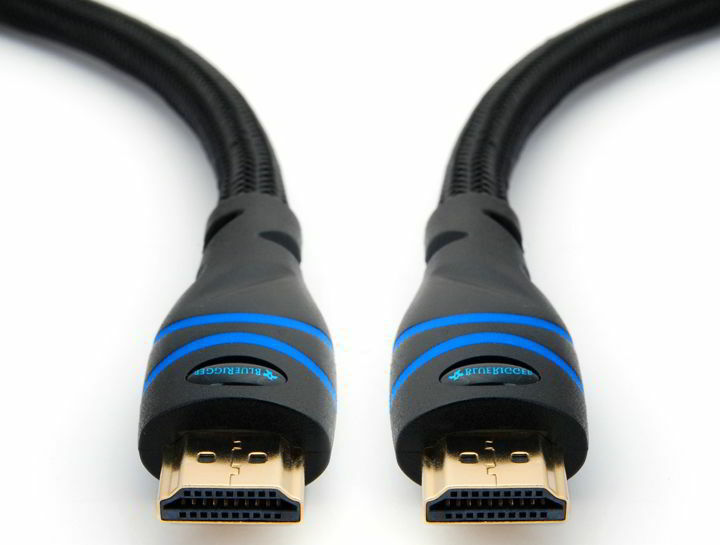 This HDMI cable supports uncompressed 1080p 120Hz high-definition video with 12-bit deep color. In addition, the cable offers eight channels of 192/24 digital audio for ultimate 7.1 sound. Regarding the bandwidth, this cable can deliver more than 14.9 Gbps. Each cable comes with visible speed rating so you can see the speed of your cable before you connect it to your PC. The cable comes with large gauge silver-coated conductors that provide superior signal. There’s also high-density quad-layer shielding for ultimate protection from RF and EM interference. The cable has nitrogen gas-injected dielectric that provides you with the best signal strength regardless of the cable length. Monster M1000 HDMI cable also has 24K gold contacts that will ensure the highest signal quality and protect the cable from corrosion. This is a solid high-speed HDMI cable, and you can purchase models from 4 feet to 25 feet. Regarding the price, 4-feet model costs $12.99. This high-speed HDMI cable supports speeds up to 10.2 Gbps or 340MHz. The cable offers refresh rates up to 240Hz thus providing crystal clear picture. Regarding the supported resolutions, this cable supports 1080p and 4K resolutions up to 4096×2160. Of course, support for 3D video is also available. 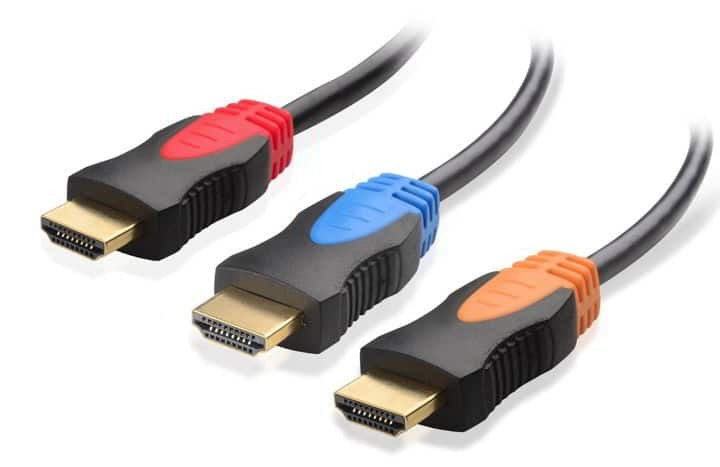 The cable supports 8-bit, 10-bit, 12-bit, and 16-bit colors as well as x.v.Color. There’s also support for Audio Return Channel and high-bandwidth uncompressed digital audio such as Dolby Digital and DTS. 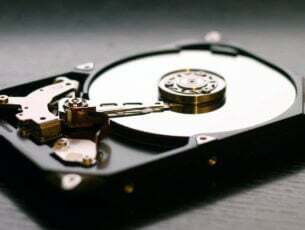 Lossless compressed digital formats such as Dolby TrueHD, Dolby Digital Plus and DTS-HD Master Audio are also supported. Cable has 28 AWG oxygen-free copper conductors with HD-PE injected dielectric. There are also gold-plated connectors that provide maximum video performance by preventing signal loss. Regarding the protection, the cable uses triple-layer shielding that will prevent EMI and RFI interference. Cable supports Lip Sync feature, so video and audio is synchronized automatically thus ensuring absolute accuracy. This is a solid high-speed HDMI cable, and you can get 6.5–feet model for $31.58. If you need a longer cable, there are models up to 16 feet long. Twisted Veins high-speed receiver pack comes with three 3-feet cables and single 10-feet cable. The bundle also has three velcro cable ties that will help you manage your cables. In addition to HDMI cables, you’ll also get a 90-degree adapter so you can easily use these cables in hard to reach places. These cables support HDMI 1.4 standard and they support high-speed and Audio Return. In addition, there’s support for Ethernet, 1080p resolution, 3D, Deep Color, TrueHD, and DTS-HD. The cables come with extra shielding, so they will provide solid signal without any interference. 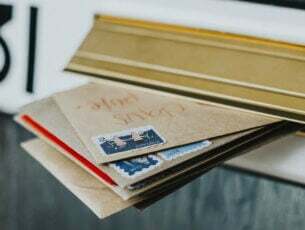 Of course, connectors have gold plating so they offer high-quality signal. Twisted Veins cables offer decent quality, and they will be perfect for less demanding users. Regarding the price, you can purchase this bundle for $7.96. If you’re looking for a high-speed HDMI cable, you might want to consider this model. This is Category 2 cable and it offers 18.2 Gbps or 340 MHz. The cable supports up to 240Hz refresh rate and 48-bit Deep Color. Regarding the additional features there is support for 3D, Audio Return Channel, Ethernet, 7.1 Dolby TrueHD, and DTS-HD Master AudioTM. Of course, this cable is fully compatible with any HDMI device such as your HDTV, console, Blu-ray player or laptop. The cable is fully shielded and it comes with gold-plated connectors that provide high-quality signal. Of course, this cable is fully compatible with with older HDMI standards and devices. The cable supports 1080p resolution, but it also works with 3840 x 2160 resolution at 24Hz. Since this cable supports Ethernet, you can easily use a single cable to connect your device to the Internet. C&E High Speed HDMI Cable is a decent high-speed HDMI cable, and its only flaw is 24Hz refresh rate while using 4K resolution. If you don’t mind this limitation or if you don’t use 4K resolution, you can get 3-feet model for $4.99. It’s worth mentioning that this cable is available in different sizes and there’s also an HDMI Male to HDMI female model available as well. 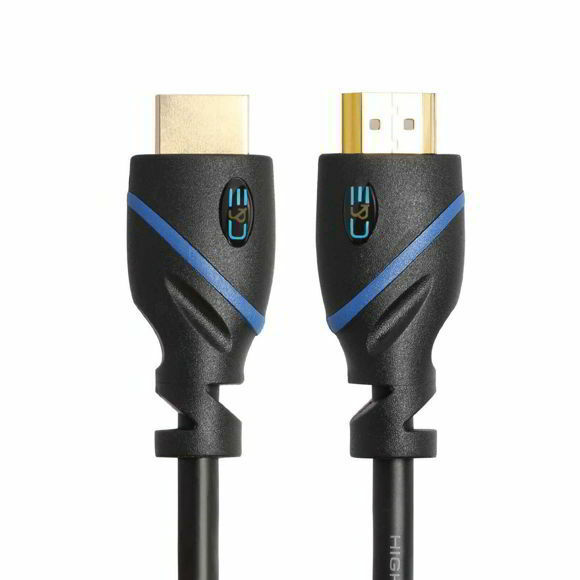 This is a Category 2 HDMI cable and it’s fully compatible with HDMI 2.0 standard. The cable is compatible with all sorts of HDMI devices, so it will work with your HDTV, video game console, Blu-ray player or any other device. The cable uses 100% bare copper conductor without any copper clad steel. There are two HDMI Type A connectors and both of them are gold-plated thus ensuring high-quality signal. The cable also has molded strain relief that makes connecting a breeze. Regarding the supported features, this cable supports 3D video as well as 4K resolution up to 4096×2160. There is also support for uncompressed digital 7.1 channel audio. We have to mention that this cable supports Audio Return Channel, HDMI Ethernet Channel and 48-bit Deep Color. Regarding the bandwidth, this cable offers 18Gbps. This is a solid HDMI cable, and there are models from 3 feet to 15 feet available. Regarding the price, you can get 6-feet model for $10.95. This HDMI cable comes with active signal regeneration that will ensure lossless signal over long distances. Regarding the bandwidth, this cable offers 10.2Gbps bandwidth. 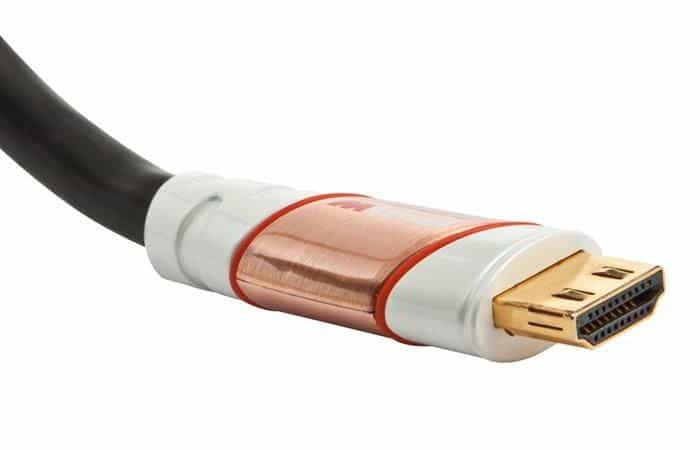 It’s also worth mentioning that this cable has CL2 in-wall fire safety rating, 28AWG copper conductors and gold-plated connectors. Regarding the supported features, there is 1080p video support at 60Hz and 4K video at 24Hz. Of course, 3D video is also supported. The cable has HDMI Ethernet Channel so you can use the HDMI cable for Internet access as well. There’s also Audio Return Channel, Deep Color up to 16-bits per channel and x.v.Color. There’s also support for High Definition Audio including SA-CD, DVD-Audio, DTS-HD Master Audio, and Dolby TrueHD. We have to mention that this is a directional cable, so be sure to check the markings on each side to see how to properly connect the cable. Monoprice Active Select Series HDMI cable is designed for long distances, and there are models from 6 to 60 feet available. Regarding the price, you can get 10-feet model for $9.99. If you’re looking for a high-speed HDMI cable, this one might be perfect for you. This cable can work with your HDTV, but it will also work with any device that has an HDMI port. The list includes gaming consoles, laptops, Blu-ray players, etc. This cable supports 4K cinema resolution at 50-60 Hz as well as 7.1 digital surround sound. Of course, there’s also support for 3D video. It’s worth mentioning that this cable has Ethernet support, so you can use it instead of Ethernet cable with compatible devices. Regarding the speed rating, this cable supports up to 10.2Gbps speed. 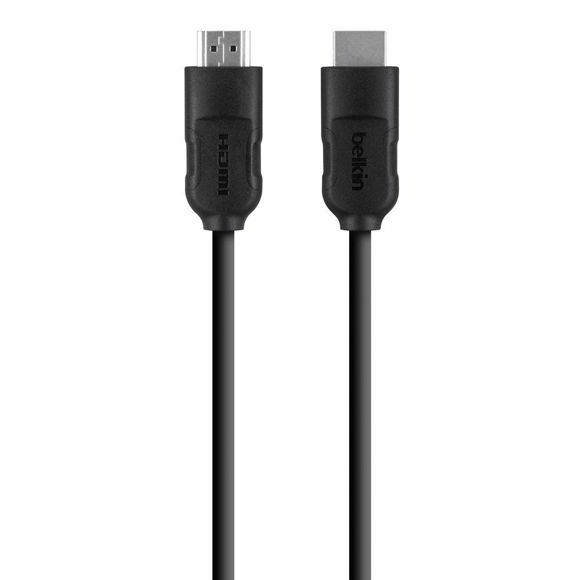 Belkin High-Speed HDMI to HDMI Cable comes with high-quality connectors and two-layer shielding that protects your cable from outside interference. We also have to mention that the cable supports dynamic synchronization of audio and video streams and it also supports 32 audio channels. This is a great HDMI cable, and you can get 6-feet model for $13.09. If you need a longer cable there are models up to 8 feet available. This HDMI cable is 50% slimmer than standard HDMI cables so you can easily connect it to any HDMI device. The cable has aluminum-plated head that brings sleek design and decent protection against radio or electromagnetic interference. It’s also worth mentioning that the connector head is 40% smaller than standard HDMI connector heads. As a result, you can easily connect this cable even with hard to reach ports. We have to mention that this cable is rather flexible, and it comes with polyester braiding wrapped around a PVC cable molding. The connectors are 24K gold-plated so they offer solid connectivity and signal strength. The cable supports up to 4096×2160 resolution at 60Hz and up to 32 audio channels. Of course, the cable is compatible with Dolby Atmos Home Theater Surround-Sound. As for additional sound standards, there’s Dolby TrueHD and DTS-HD Master Audio. The cable can also handle 4 simultaneous audio streams with up to 1536 kHz of high-fidelity audio. This HDMI cable supports 3D video and it comes with HDMI Ethernet Channel so you can use this cable for Internet connection as well. 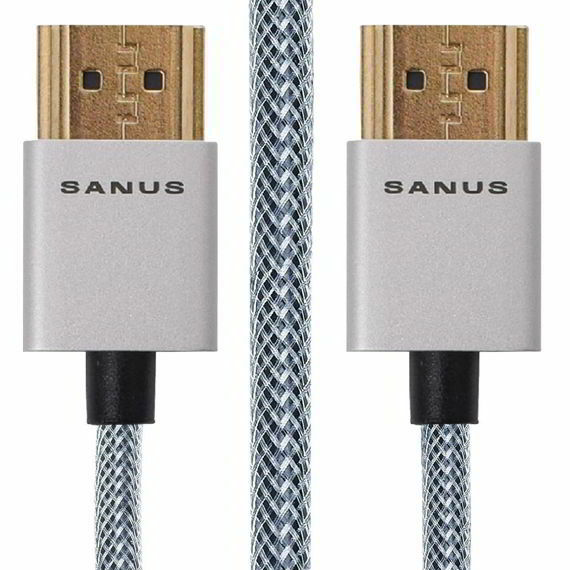 Sanus Super Slim HDMI Cable supports HDMI 2.0 standards and it offers 48-bit color depth and up to 18Gbps bandwidth. If you’re looking for a quality high-speed HDMI cable, Sanus Super Slim HDMI Cable will be perfect for you. The cable is slim and 8 feet long which should be more than enough for basic users. Regarding the price, this cable is available for $14.99. 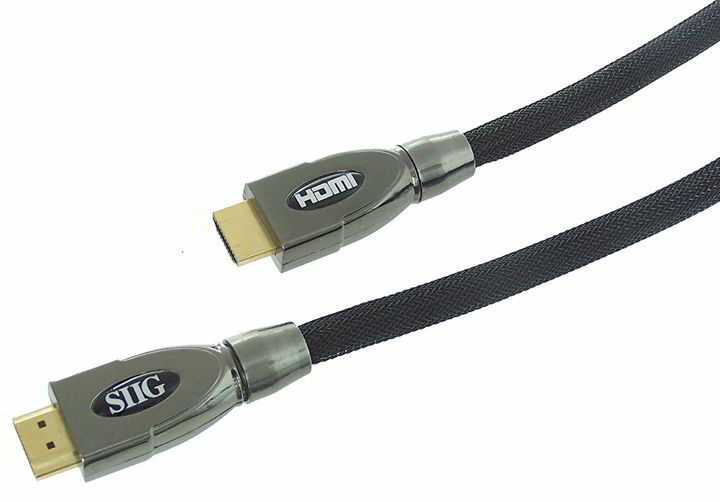 SIENOC Mesh Black HDMI Cable is a 15-feet cable so it will be perfect for home theaters. Of course, the cable is fully compatible with any HDMI device. The cable has 10.2 Gbps transfer rate and it supports 480i, 480p, 720p, 1080i, and 1080p resolutions. The cable has a black mesh that will protect it from potential damage. This is a solid HDMI cable, but it doesn’t support 4K resolution or Ethernet which can be a problem for some users. Regarding the price, you can get this cable for $6.06. 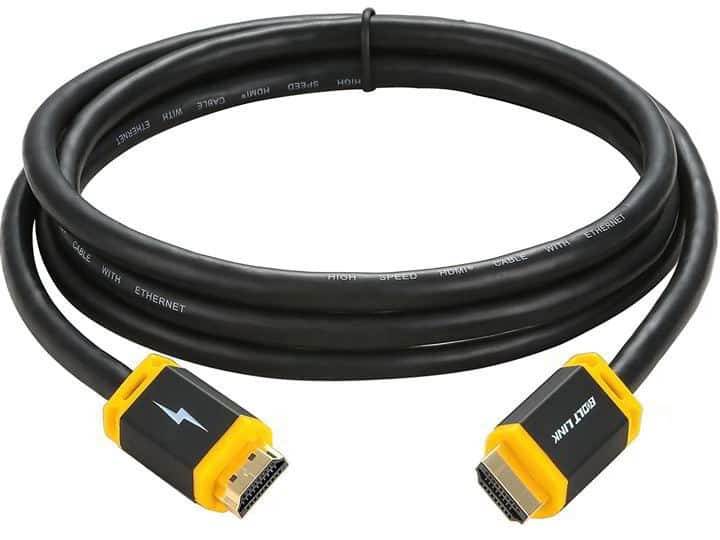 This high-speed HDMI cable is perfect if you need to connect your PC to an external monitor or if you want to connect any other device to an HDTV. The cable has 30 AWG pure copper conductors, triple shielding and gold-plated connectors. This ensures the durability of the cable as well as the best signal strength. The cable supports 3D video, HD, UHD, Audio Return Channel, HDMI Ethernet Channel and 48-bit deep color. In addition, there’s support for 32 channel audio, HDCP, and Dolby True HD 7.1 audio. This cable supports up to 4096×2160 resolution and it provides 10.2 Gbps or 340MHz. 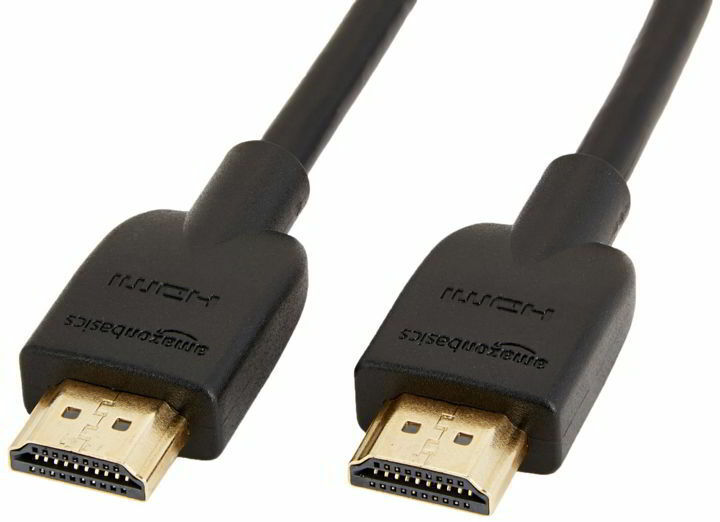 Aurum Ultra Series HDMI Cable is a great HDMI cable and you can order 8-feet model for $10.99. Keep in mind that the order includes two cables. If you need a longer cable, there are models up to 40 feet. This is a one-directional cable, and in order to use it you need to connect it properly. Connectors have input and output label so you can easily connect this cable to any HDMI device. The cable is triple-shielded and it has 26AWG cable with 100% solid copper conductors. Of course, connectors are gold-plated so they offer the best signal. The cable supports 3D, Ethernet channel and ARC. 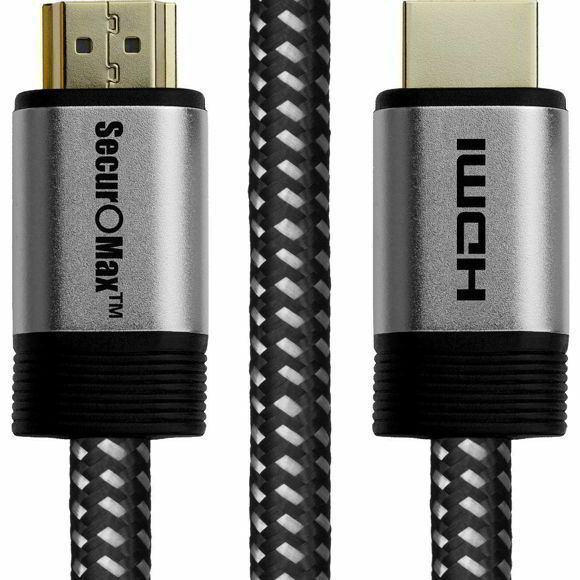 Regarding the resolution, this cable can support up to 4K@50/60 (2160p) Ultra HD resolution. As for the transfer rate, the cable supports 18Gbps and 240/480Hz refresh rate. There’s also support for 48-Bit deep color, HDCP and True HD-Dolby 7.1. Boltlink HDMI Cable is a great cable and you can get 3-feet model for $7.99. It’s worth mentioning that this is the shortest model, and if you need a longer cable there are models up to 100 feet available. This HDMI cable comes with support for Full HD, 4K and Ultra HD. The cable also supports 3D, ARC and Ethernet. It’s worth mentioning that cable has full metal HDMI connector and ATC certified protection. 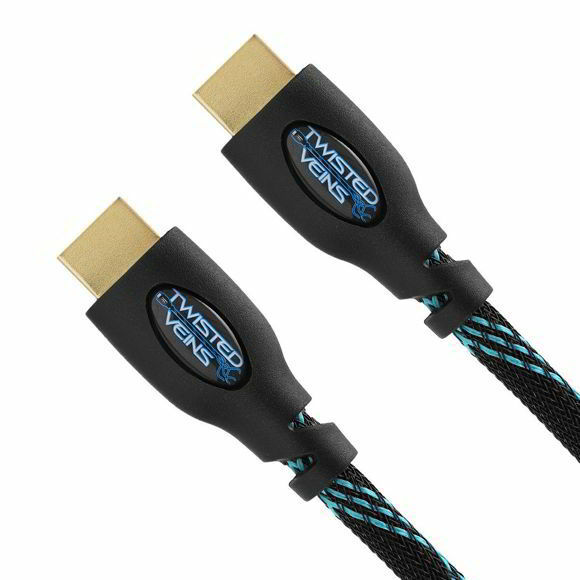 The cable has double shielding that provides solid protection, but it also uses 24K gold-plated connectors that ensure highest signal quality. Regarding the inner conductors, this cable uses oxygen-free copper. 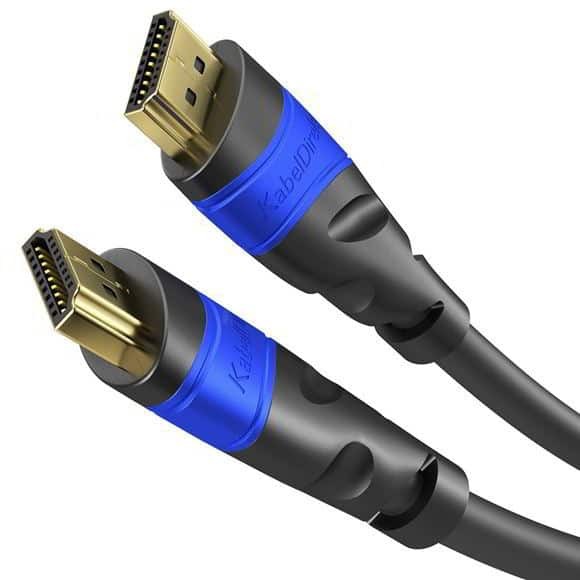 KabelDirekt HDMI Cable is a great cable, but some users reported minor issues while using 4K resolution at 60Hz, so keep that in mind before purchasing this cable. There are several models available ranging from 0.5 feet to 50 feet. Regarding the price, you can get 1-feet model for $7.99. This HDMI cable is HDMI 2.0 compatible and it supports 4K resolution at 60Hz. Regarding the the bandwidth, the cable supports up to 18 Gbps. Of course, the cable also supports Ethernet and Audio Return Channel so you can use a single HDMI cable for video, audio and Internet connection. 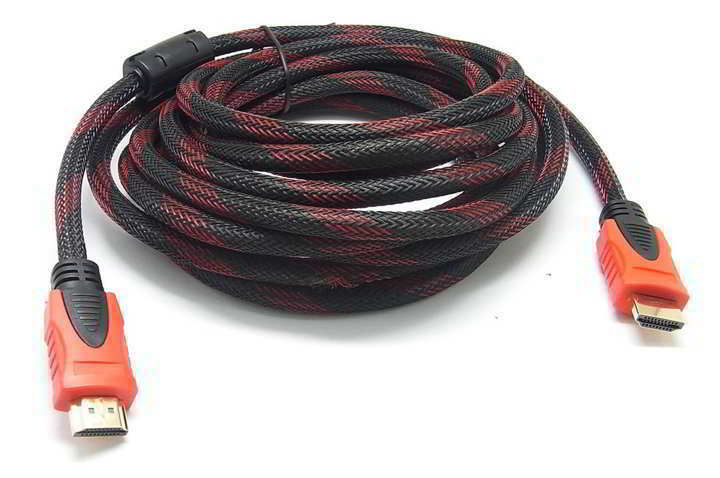 The cable has solid aluminum connector housing and braided cord as well as 28AWG 100% pure copper wiring. 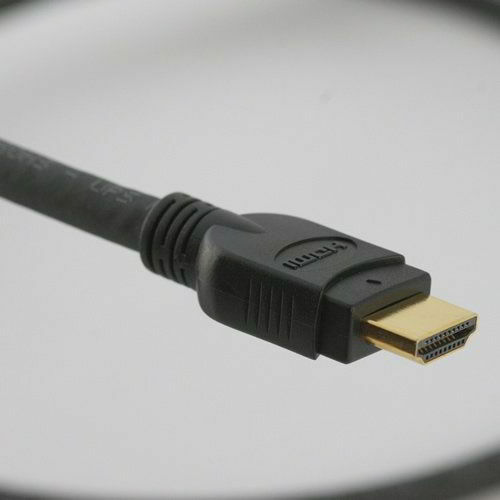 Even though this is an HDMI 2.0 cable, it supports older HDMI standards and devices. This 6-feet cable offers amazing performance, and you can get SecurOMax HDMI Cable for $11.99. If you’re looking for a durable HDMI cable, this one might be perfect for you. The cable has durable nylon-braided construction, so it provides decent durability. In addition to durability, the cable also supports the latest HDMI 2.0 standard and 4K, UHD, 3D and Audio Return Channel features. As for bandwidth, the cable has 18Gbps bandwidth and 600MHz refresh rate. Additional features include 48-bit deep color, Ethernet support, True HD Dolby 7.1, and DTS-HD Master Audio. The cable has triple shielding and 24K gold-plated connectors, so it offers strong, distortion-free signal. BlueRigger HDMI Cable is an amazing HDMI cable, and you can order 3-feet model for $8.49. If you need a longer cable, there are models up to 25 feet in length. 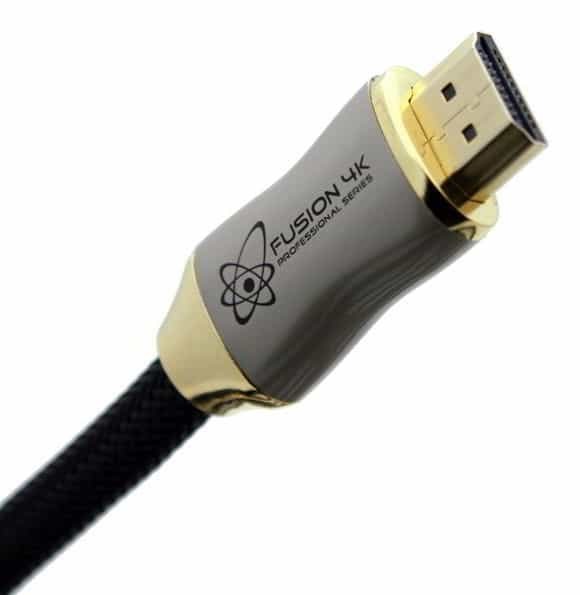 Fusion4K HDMI Cable supports HDMI 2.0 standard as well as 4K resolution up to 4096×2160. Regarding the bandwidth, the cable can provide up to 18Gbps. We also have to mention that this cable supports High Dynamic Range and 32 audio channels. The cable also supports 3D, Audio Return Channel and HDMI Ethernet Channel. Additional features include 48-bit color depth with support for x.v.Color, sYCC601, and Adobe RGB. In order to ensure the maximum signal strength and bandwidth the cable uses oxygen-free copper and 24K gold-plated connectors. This is an amazing HDMI cable and there are models ranging from 3 feet to 50 feet. Regarding the price, 3-feet model costs $34.99, which makes this cable one of the most expensive ones on our list. Finding a proper high-speed HDMI cable isn’t an easy task, but we hope that you found a suitable HDMI cable for you on our list.